A one-bedroom, one-bathroom efficiency, the luxurious Happy Rainbow Beach Suite is a private retreat. 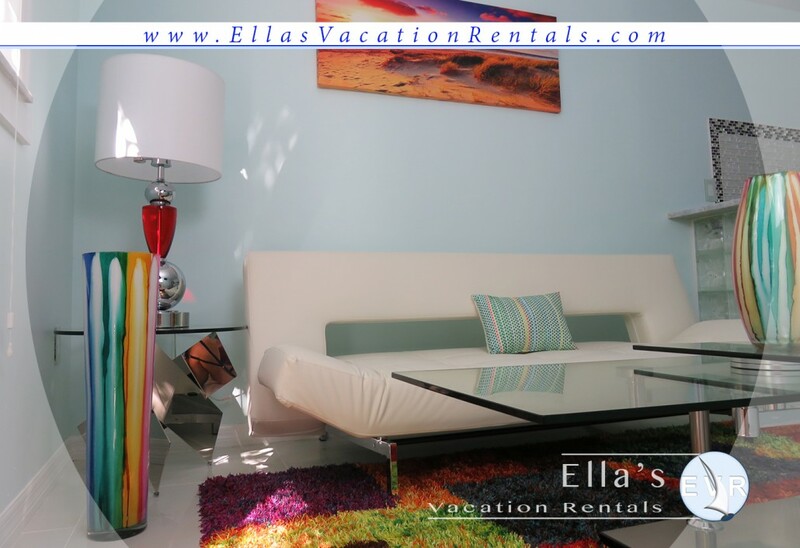 This condo is one of six units that overlook a beautiful courtyard, enclosed by an elegant home offering comfort and solitude to all of the guests. 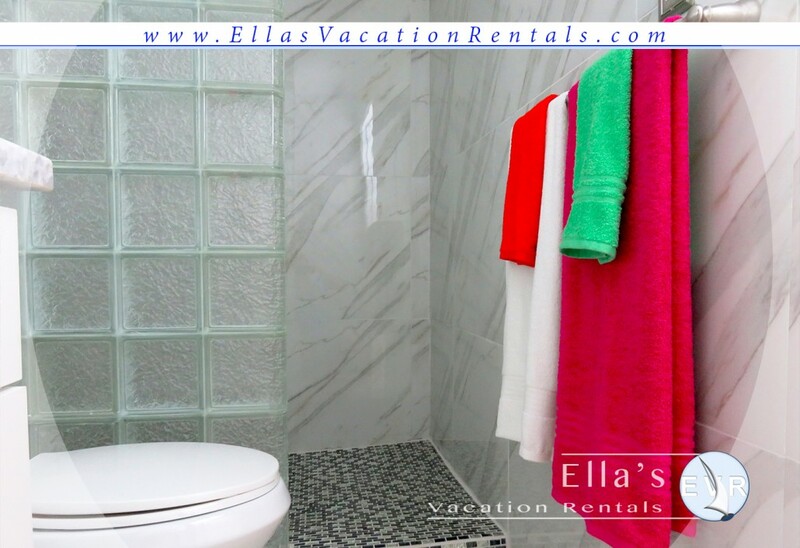 The bathroom is equipped with a modern, European-designed shower. The living room has a 100% white leather sofa that folds out into a full-sized bed. The suite can accommodate four people. 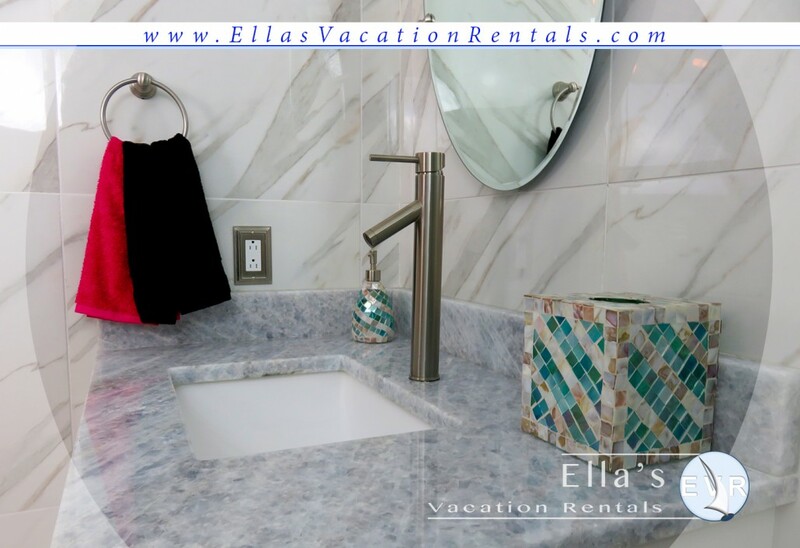 The state of the art kitchen is appointed with elaborately-decorated granite and tile, in addition to top of the line stainless steel appliances. The location couldn’t be better. Upon your arrival, you will be swept away with the sensation of the tropics. 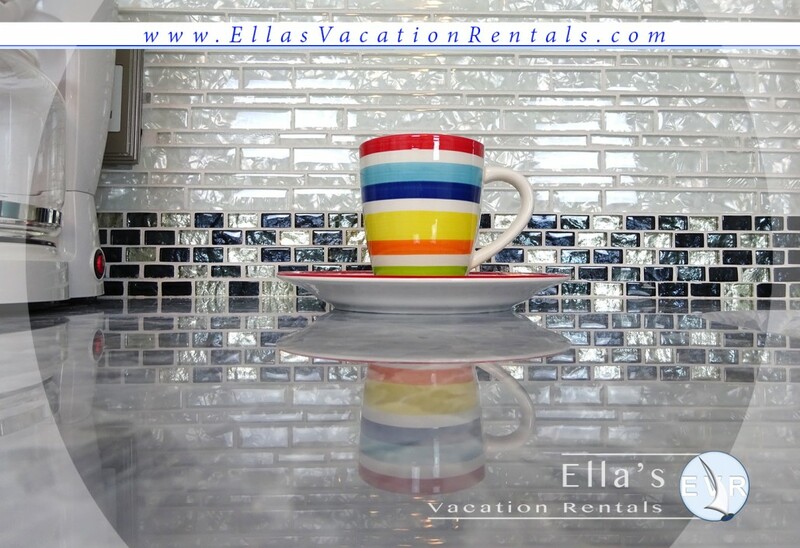 Experience real Florida at Ella’s Vacation Rentals. Simply stated, paradise found. 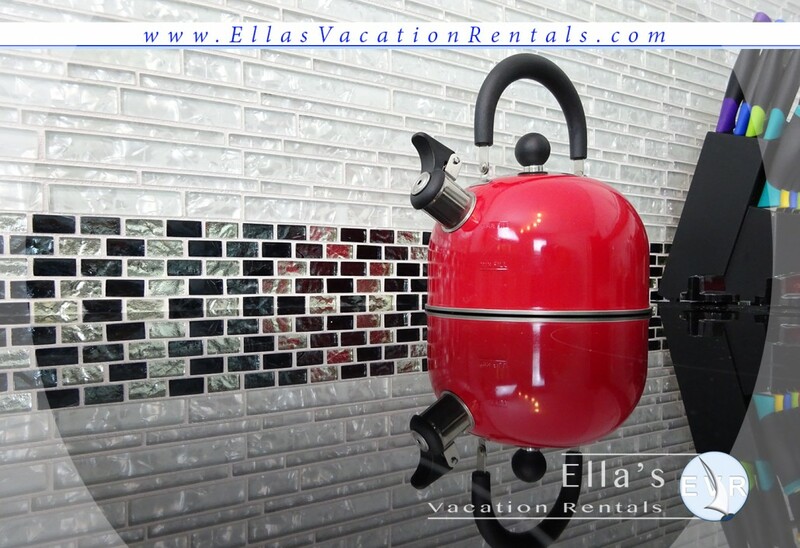 The kitchen has everything an aspiring cook needs –a stove, microwave, toaster, blender, coffee machine, pots, pans, dishes, and of course, a tea pot. The latter is an absolute necessity for my many European guests. I follow the tea ritual myself, so I make sure to stock a wide variety of teas. 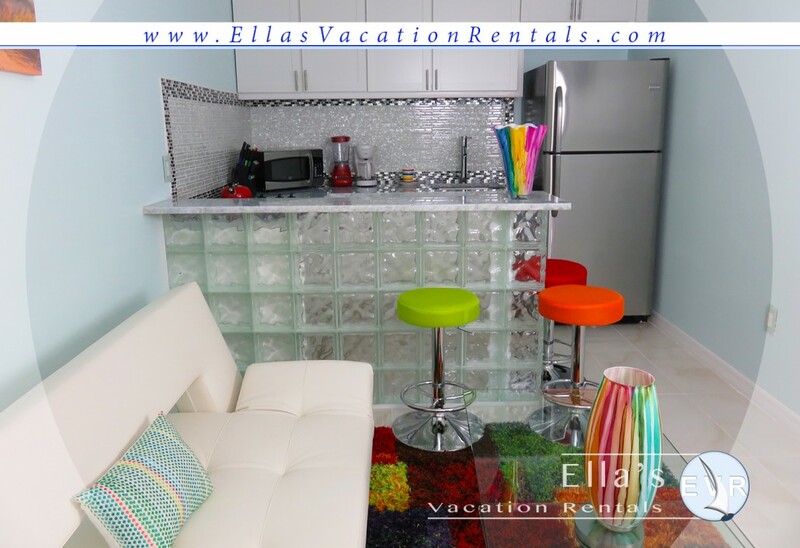 The place is secured with sturdy hurricane shutters, so guests can feel safe travelling during the hurricane season. Personally, I travel at any time of the year, which adds to the adventure. The airport is about a 20-minute drive from the suite, but if you are travelling in season, I recommended allotting extra time. The island only has one road for ingress and egress, so plan accordingly. Nothing rivals the sight of the beach at sunset, which you can watch from the porch, or just cross the street to wade in the warm, gentle surf that softly laps against the sparkling white sand. Take your pick of the myriad beautiful seashells and sand dollars, perfect mementoes of your Florida vacation. Prefer to spend your leisure time relaxing on the deck with a cup of coffee or a tropical drink? After a busy, fun-filled day, this is a perfect place to unwind, and maybe throw some fish on the grill. The deck is currently being remodeled, hence the lower rate for the unit. Just minutes away is Times Square, the heart of Estero Island’s downtown district, where you can dine at numerous restaurants, peruse the various stores and gift shops, watch the street performers or listen to Caribbean music while sipping a drink at one of the bars. One of my favorite restaurants is Yucatan, where a hot summer night may find me savoring their fresh oysters over an ice cold beer. The supermarket is one house away, about a three-minute walk. Go on the road, make a left, and you are there. Once you arrive, you will see my guest book, with many great suggestions for activities, as well as restaurants. An automobile is recommended, especially if you would like to visit nearby Sanibel or Captiva islands. But if you would rather not have the responsibility of a car on your vacation, there are plenty of local diversions to entertain you. You can also take the trolley to Lovers Key State Park, where you can enjoy canoeing of kayaking. 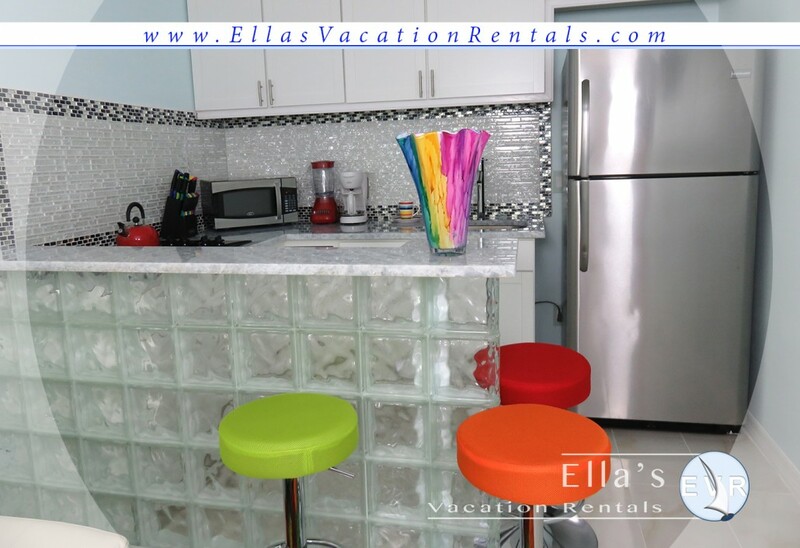 Book your Florida Beach House Rentals now. Contact Ella.